So today I decided to avail of the July 2016 promo from Maybelline which gives you around 200 pesos of savings for each palette. I've seen these palettes online and I wanted to try them for my blog. 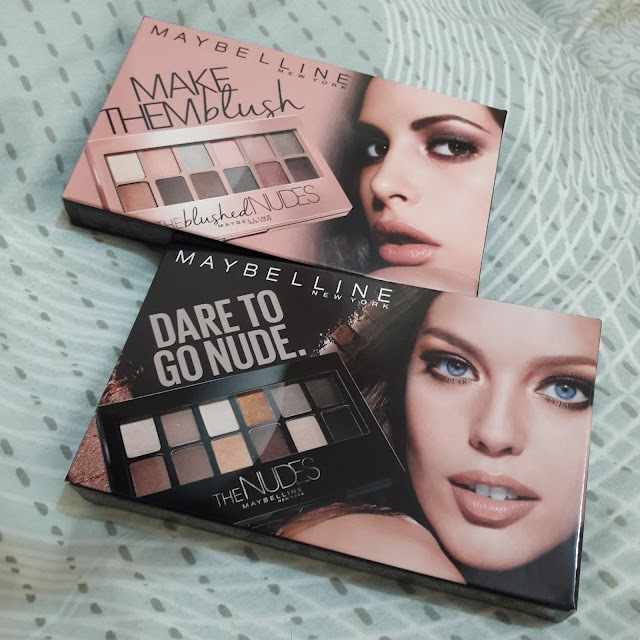 I am a fan of a lot of Maybelline products and I figured this month's sale is the best time to check them out. One of the things I like about the products is the palette guide that comes with each of them. It shows you each shadow with their names and how to use them in quads, trios, and duos. The guide will basically tell you how to use the colors in groups and which colors work well together. The packaging material is pretty standard and quite sturdy, I think Maybelline is pretty consistent in this department. 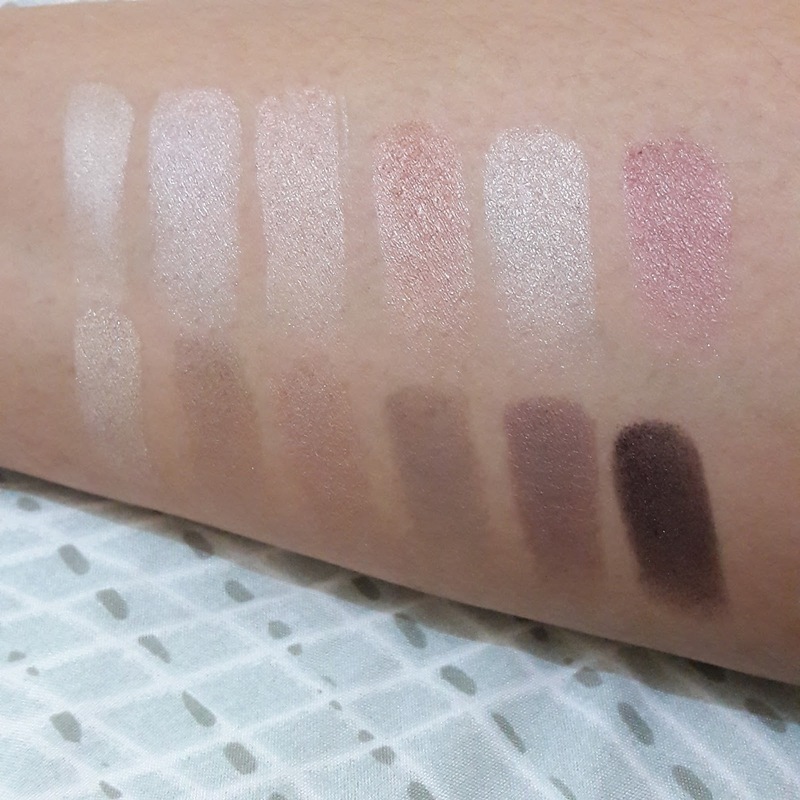 I swatched them on my arm and this is how they look on my skin (I am matched as NC40 in MAC). You get a fun mix of neutral shimmers and matts. 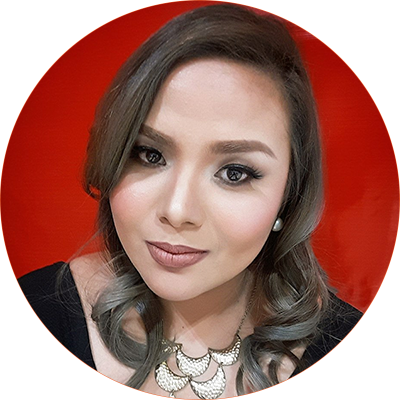 The pigmentation and smoothness for each eyeshadow varies so you might need to build up some of them to get the color payoff you want. Some of the shadows look a bit too similar to each other but I suppose, with the price, it's still a good deal. They actually remind me of my Clinique eyeshadows. 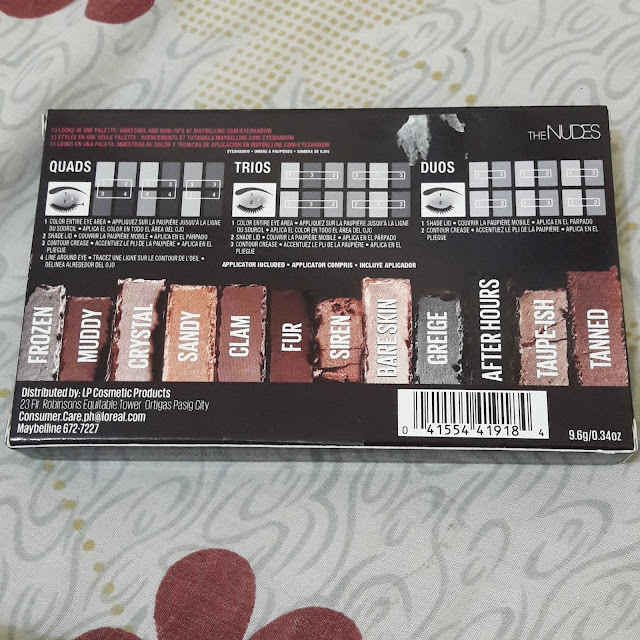 Now, this is my personal experience and I hope it serves as a reminder to you when you buy ANY product--- always ask to see the palette outside the box. 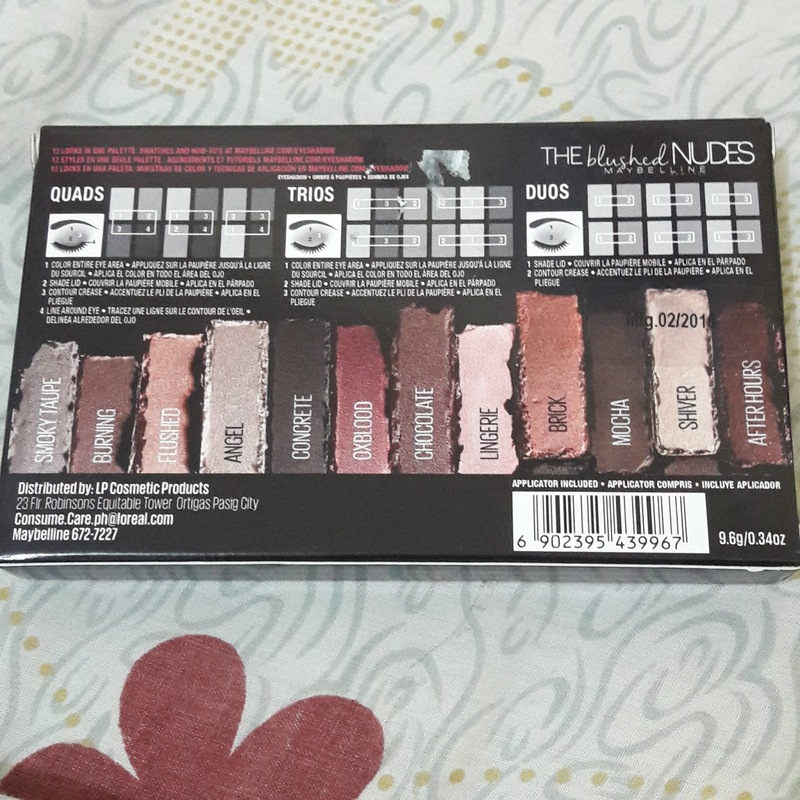 If you are definitely buying, ask to open it and look at each eyeshadow up close. Hold it up close under good lighting. 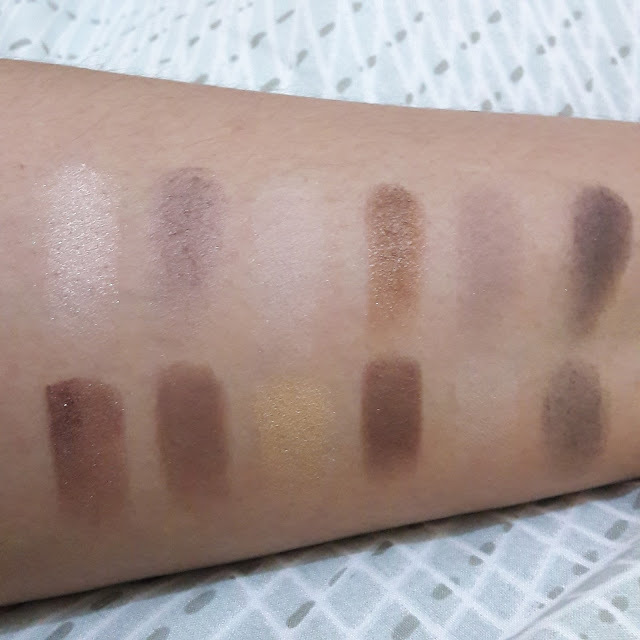 I was in such a hurry that I forgot to do this and got a "seemingly" swatched palette. Now, I'm using the term "seemingly" because I can't truly be certain, but three of the shadows looked disturbed--- as a new pot would when first swatched. They don't look used but they looked swatched. Examine a new pot and you know that a machine-pressed weave or embossed grain can be seen when it hasn't been touched. Another peculiar thing was the missing protective sheet. 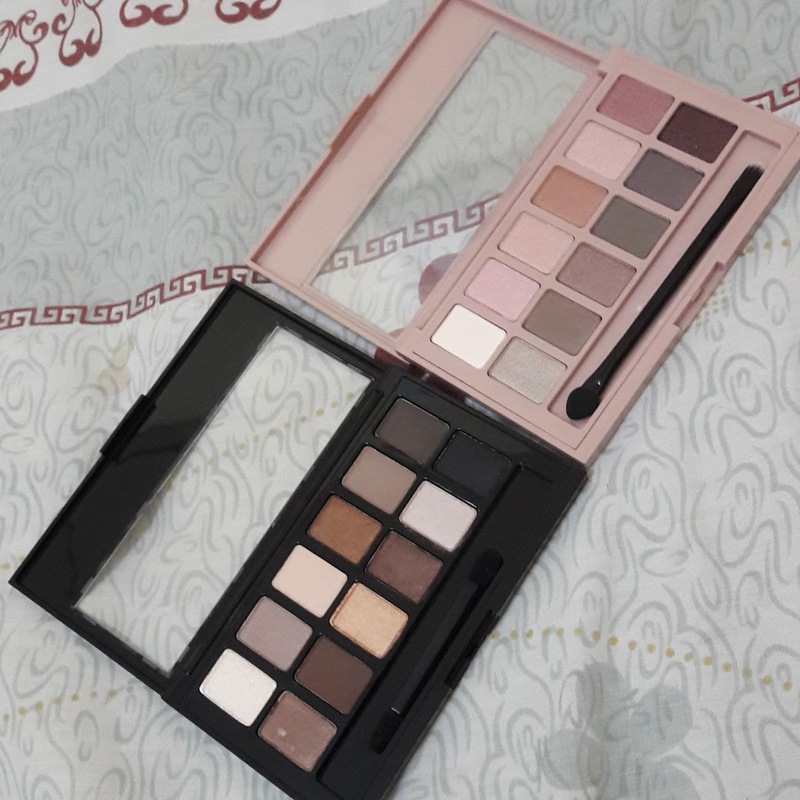 One palette had one but the other did not. Both were actually sealed but what's inside the palettes seemed inconsistent enough to mention. Now, I think what may have happened was an unintentional mistake or even a factory packaging error. I can't be sure but I just want to tell you about the peculiar experience so you will remember to check each purchase before buying anything. I don't plan to return the palette because the palette was, in fact, sealed and I really don't feel like making another trip to the store for a palette I bought on sale. I am still going to disinfect it though, just to be on the safe side. I would encourage you to examine any product you buy, regardless of the brand, to be sure you are getting exactly what you want. I think these palettes can potentially create beautiful, smokey, and neutral looks and it definitely doesn't hurt that they're on sale. I can't wait to try them on my next motd. 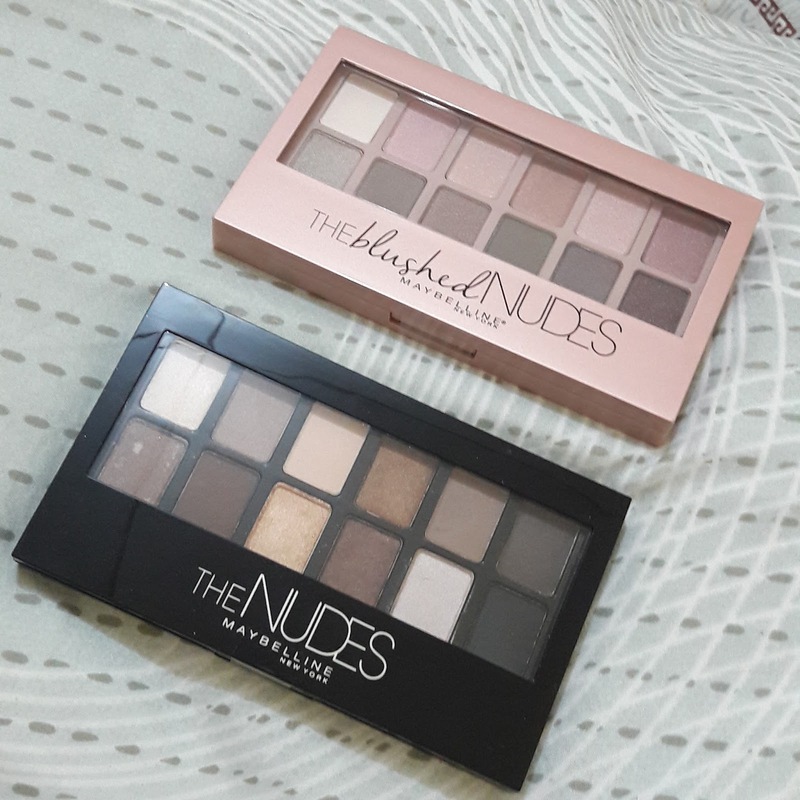 I'm actually planning to blog about makeup looks using only Maybelline products soon and I might use these palettes for that.